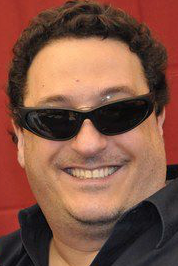 Hillside, NJ, Feb. 3, 2016 — New Jersey-based game developer and publisher WizKids announced this week that Zev Shlasinger, formerly of Z-Man Games/F2Z Entertainment has joined the team and will head up its expanded Board Game operations. Zev founded Z-Man Games in 1999 and its first publication was the rebirth of the Shadowfist CCG. In 2001, Z-Man released its first non-collectible game, Grave Robbers from Outer Space, and the company set a new path from thereon. Delving into card games, innovative games (Warchon), RPGs, and then board games, Z-Man set a standard of quality and quirkiness. The eclectic publishing philosophy led to such releases as Pandemic, Agricola, Tales of the Arabian Nights, Saboteur, Endeavor, Merchants and Marauders, just to name a few among nearly 200 releases. In 12 years, Z-Man Games published original and licensed games to households all over the world and became a company held in high esteem in the board game industry. In 2011, Zev sold the company to the owner of Filosofia Editions, and continued working on acquiring and developing games for Z-Man Games (which later became part of F2Z Entertainment). Some of the games discovered/developed during his time with F2Z include: Tragedy Looper, Chimera, Clash of Cultures, Terra Mystica, Dragon Farkle, to name a few. WizKids, a wholly-owned subsidiary of NECA, is a New Jersey-based game developer and publisher dedicated to creating games driven by imagination. 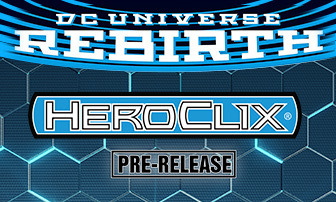 WizKids first pioneered the Combat Dial system featured in HeroClix, the leading collectible miniatures game on the market, with over 800 million miniature game figures sold worldwide. WizKids continues to produce new proprietary game platforms and properties including the award-winning fantasy board game Mage Knight, the groundbreaking Dice Building Game engine used in the critically-acclaimed game Quarriors and Dice Masters, as well as its widely hailed execution Attack Wing. For additional information, visit www.wizkids.com.